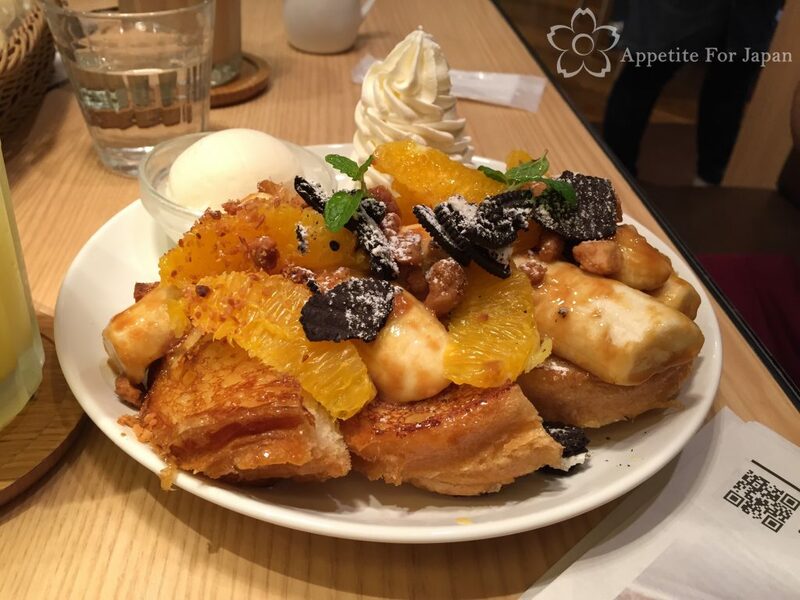 French toast is easy to find in plenty of cafes, as well as being easy to make at home. But then there’s Ivorish, and they take French toast to a whole new level. My partner in particular is a massive French toast fan. This is quite a big call, but he says that Ivorish makes the best French toast he has ever eaten. What makes their French toast so special is that they don’t use ordinary bread. Ivorish makes their own special type of bread, along with fermented butter and maple syrup. The bread is light and fluffy on the inside, and simultaneously soft and crispy on the outside. Some of the dishes even include cream cheese between slices of bread. Then there are the toppings – and they several delicious options at any given time. Wondering what where the name Ivorish comes from? It’s a combination of ‘ivory’, because they say that this is the colour of the bread (before they cook it, I guess), and “cherish”. In other words, they really care about French toast at Ivorish. 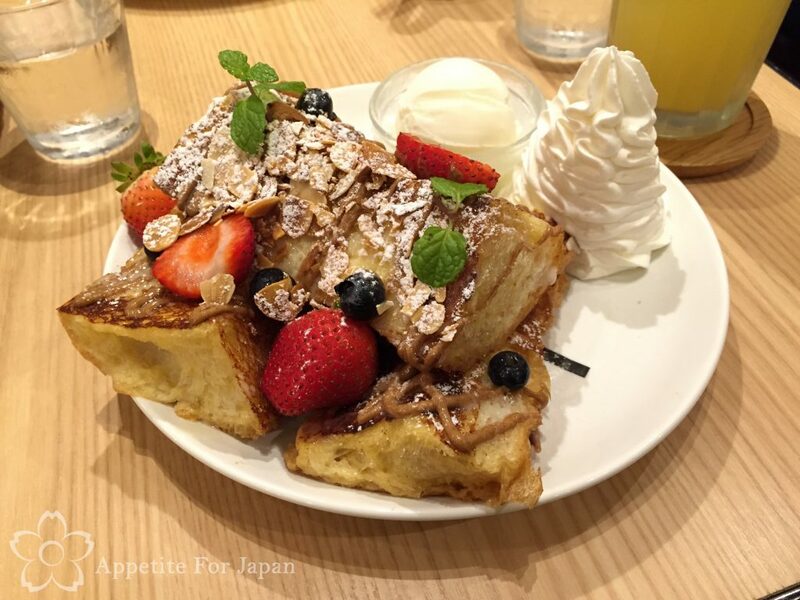 There are three Ivorish restaurants in Japan – the first store, and their head office, is in Fukuoka, the second restaurant is in Tokyo’s suburb of Shibuya, and their most recent restaurant has opened in Ebina. Above: Regular size Nutty Caramel (1,600 Yen, or half size for 1,000 Yen) from the 2015 Autumn and Christmas menus. That’s a very generous portion of French toast! And yes, those are crushed Oreos. Ivorish updates its menu with each season. The menus are printed like a newspaper, with each edition given a number. 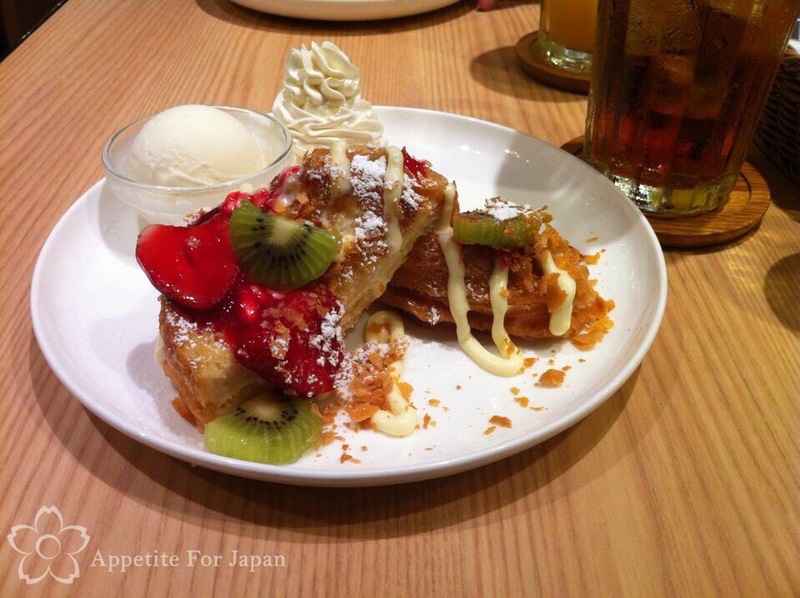 Whilst most of the information is in Japanese, the menu itself is also in English, so ordering is easy. Above: Half size Berry DX, aka Berry Deluxe (1,200 Yen, or regular size for 1,800 Yen). This is particular meal is not seasonal and is therefore always on the menu. This is my personal favourite. Half size is plenty for me, whereas my partner orders regular size. Above: White Chocolate & Almond from the 2015 Christmas menu, 1,800 Yen (regular size only). 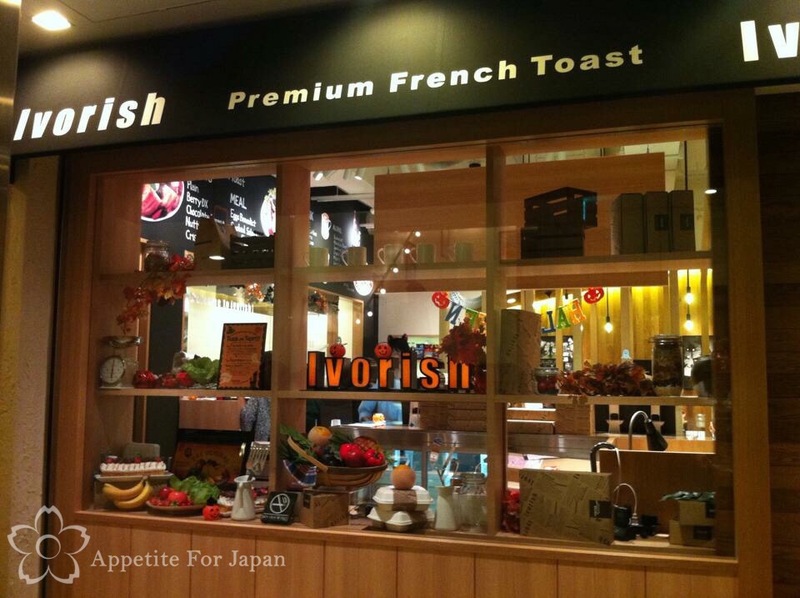 Although Ivorish is probably best known for its sweet French toast, they serve just as many savoury meals. These also have somewhat of a breakfast flavour to them (pun partially intended). 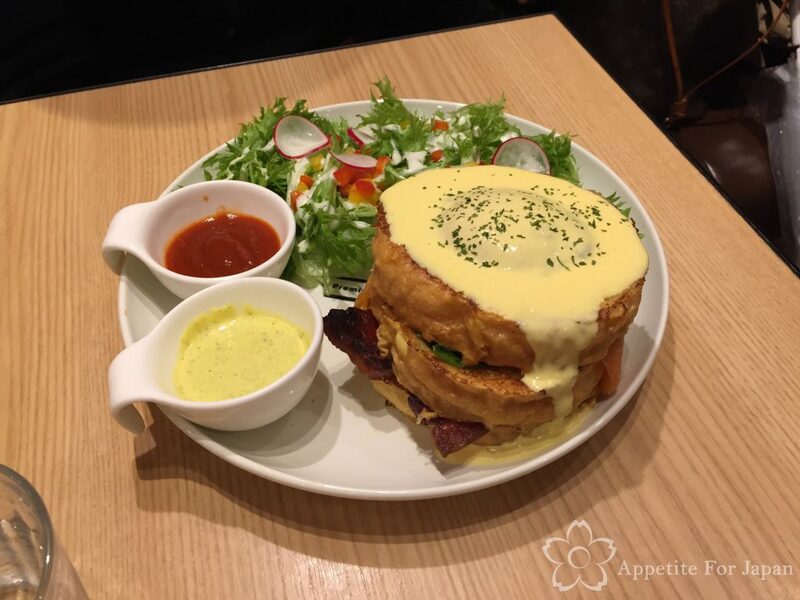 Above: Tower Eggs Benedict (1,900 Yen). This is not your everyday Eggs Benedict – instead of ordinary English muffins, Ivorish uses their special toast in this meal too. 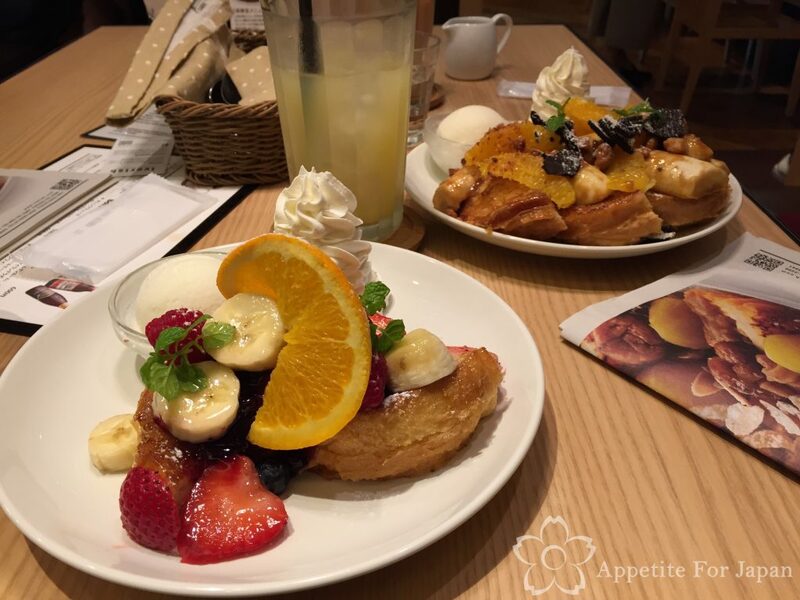 If you’re thinking of ordering both a savoury and a sweet dish, I highly recommend that you opt for half-size French toast, unless you have a huge appetite. 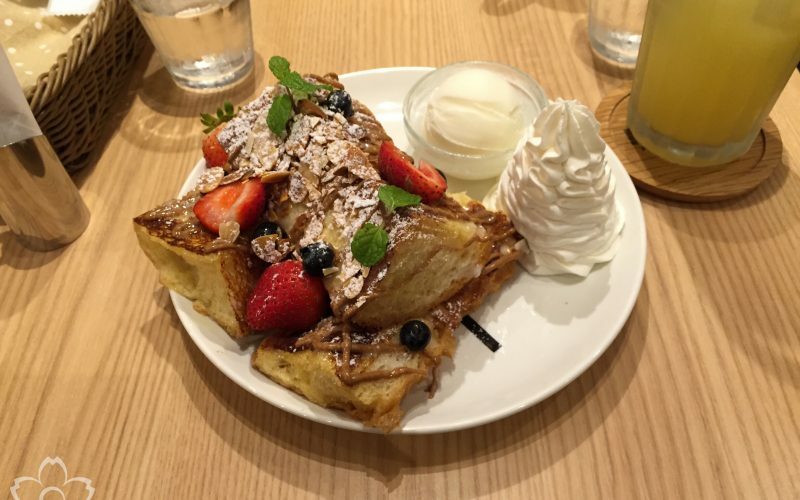 To drink with your French toast, Ivorish has a selection of different hot and iced teas on the menu, as well as coffee, soft drink and alcohol. 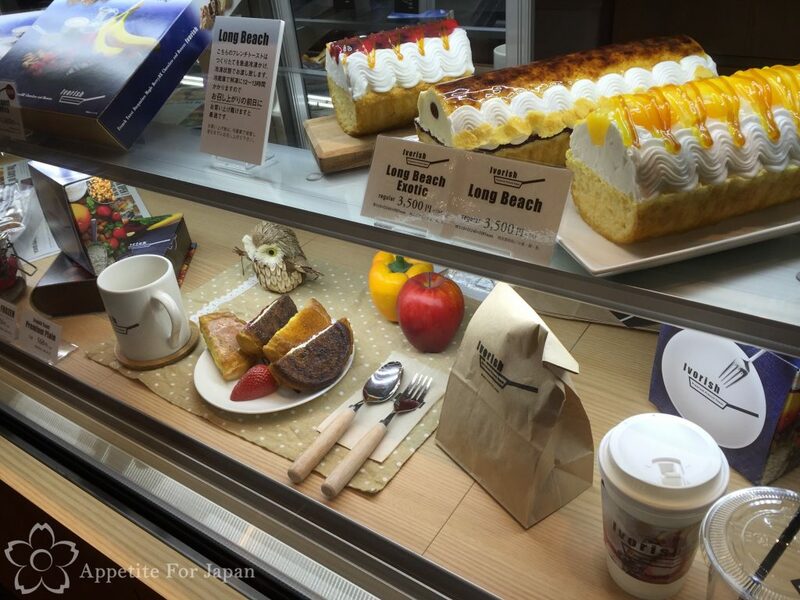 You can also get some of their food take-away (take-out, for my American readers), and they have a variety of other goodies such as the Long Beach cakes (picture at the top of the above photo), biscuits and other small pre-packaged treats. If you like French toast, then I would definitely recommend Ivorish. My partner and I have been there three times thus far, and we’ll go again and again in the future. 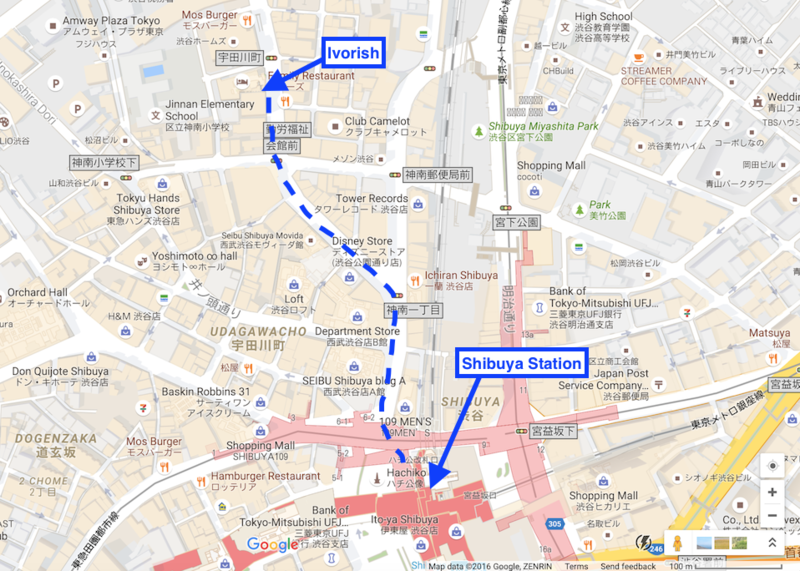 Finding the Shibuya branch of Ivorish can be tricky the first time. It’s actually quite straightforward, but the restaurant itself is in the basement of a building so it’s easy to walk right past it. Take the Hachiko Gate exit from Shibuya station, and cross the road at Shibuya Crossing. Take the road closest to the train line (you’ll pass the 109 Men’s building on your right) and keep walking. You’ll pass the Disney Store (on your left) after a few minutes, and then you’ll see Tower Records on your right. Keep going, and keep an eye out for a rust coloured building up ahead – Tobu Hotel. 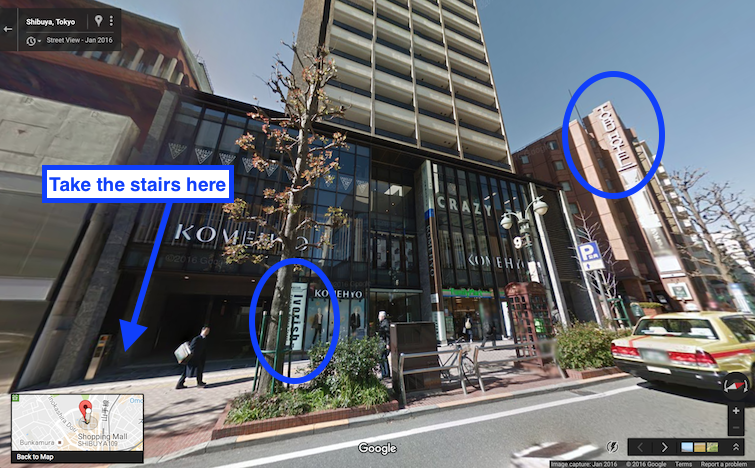 Ivorish is on the same side of the road as the Tobu Hotel, and is in the basement of the Komehyo building in between Suite Select (a grey/silver building) and the Tobu Hotel building. There’s a Family Mart convenience store a couple of shops down from it. You should then see the Ivorish sign (a white, vertical sign on the ground floor). Enter next to the sign, and take the stairs to your left down to the basement. From memory there is also a lift (elevator, for my American readers). Note: As Ivorish is such a great place, it’s also quite popular, and it has limited seating. At the best of times you will probably have to queue up to get in, and I have seen queues so long that they go all the way up the stairs and out to the street. On a busy day, you could potentially wait up to two hours, so either be prepared to wait, or times that will likely be busy (such as lunch time on the weekend). The shortest wait we’ve had was about 20 minutes, and it’s always worth the wait.